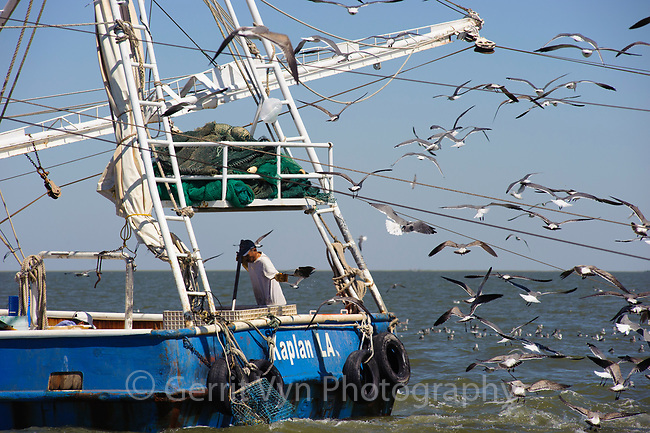 Louisiana shrimp trawler dumping bycatch overboard as Laughing Gulls trail and reap the rewards. American shrimp trawlers produce bycatch ratios between 3:1 (3 bycatch:1 shrimp) and 15:1(15 bycatch:1 shrimp). Cocodrie, Louisiana. October.